Be a Matapalo cowboy for a day and ride on horseback through the rainforest to astounding waterfalls that will leave you awestruck. Enjoy an exhilarating white water rafting trip or venture into the Pacific Ocean on a fishing excursion. These waters are fantastic for some scuba diving and snorkeling tours as well. Live amongst the nature at the Rafiki Beach Camp, which are set in a blooming tropical garden, accompanied by the sound of the surf and the singing of the birds. A few steps will take you from your deluxe tent through a tropical garden to a long, untouched beach. After a day of adventure, relax in the swimming pool or on the deck chairs to celebrate with a cool drink. Awake to the alluring smell of fresh Costa Rican coffee from the restaurant, preparing freshly caught fish and other daily specialties. At the end of the day, indulge in a reviving massage under open skies or with the breaking of the waves. 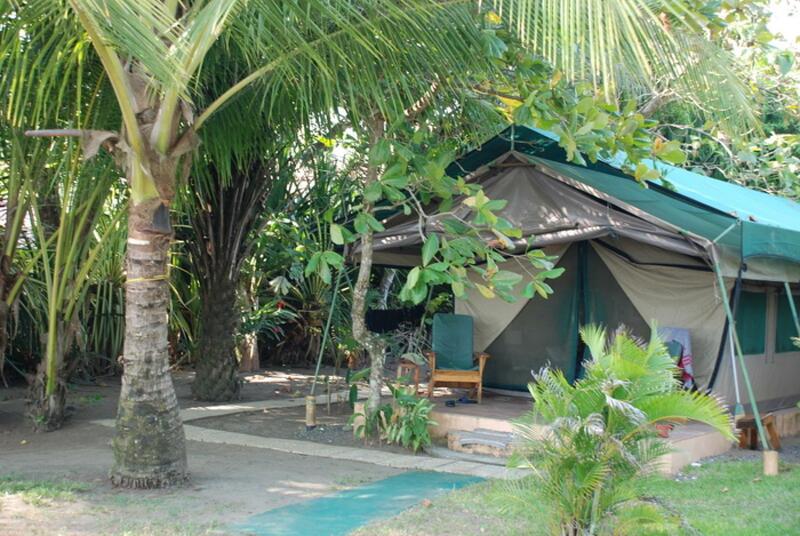 Stay at the familial complex of four safari-tent bungalows directly by the sea. The luxurious safari tent bungalows are seated around a blue pool with a Jacuzzi amidst a flourishing garden. You'll sleep in broad wooden beds and enjoy the lovely designed bathrooms with local ceramics and an additional outdoor shower. The bungalows come complete with a rocking chair and patio. "Beautiful! Peaceful! Relaxing! A, maybe even the, definite highlight. 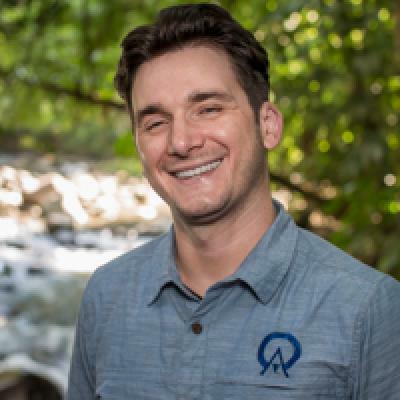 Knowing now that it is only about 30 km from Quepos and that the road is, for once, in excellent condition, I would stay there longer and do tours of the vicinity from there. The hotel organizes excursions but, I suppose, having your own transport would be a good thing. The tents are great, right next to a small very clean pool and only 25 meters from the ocean, the restaurant is upstairs and openair in the main house, the food is very good, the staff very hospitable ... a wonderful experience. And we had our very own sloth in a tree right in front of our tent. For once, we could see its face, and: it moved! " Beautiful! Peaceful! Relaxing! A, maybe even the, definite highlight. Knowing now that it is only about 30 km from Quepos and that the road is, for once, in excellent condition, I would stay there longer and do tours of the vicinity from there. The hotel organizes excursions but, I suppose, having your own transport would be a good thing. The tents are great, right next to a small very clean pool and only 25 meters from the ocean, the restaurant is upstairs and openair in the main house, the food is very good, the staff very hospitable ... a wonderful experience. And we had our very own sloth in a tree right in front of our tent. For once, we could see its face, and: it moved!